1. Ancestor of a Levite residing in Jerusalem in the time of Nehemiah (Neh. xi. 15 = I Chron. ix. 14). 2. Son of Neariah, occurring in the list of the descendants of David (I Chron. iii. 23). 3. 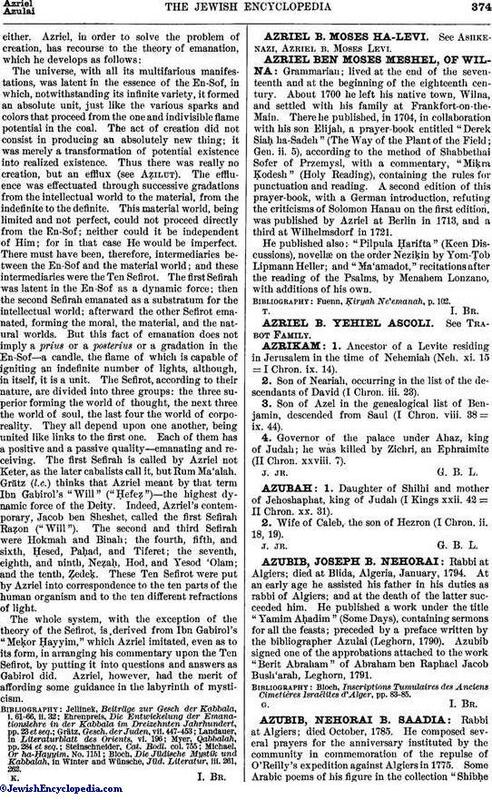 Son of Azel in the genealogical list of Benjamin, descended from Saul (I Chron. viii. 38 = ix. 44). 4. Governor of the palace under Ahaz, king of Judah; he was killed by Zichri, an Ephraimite (II Chron. xxviii. 7).